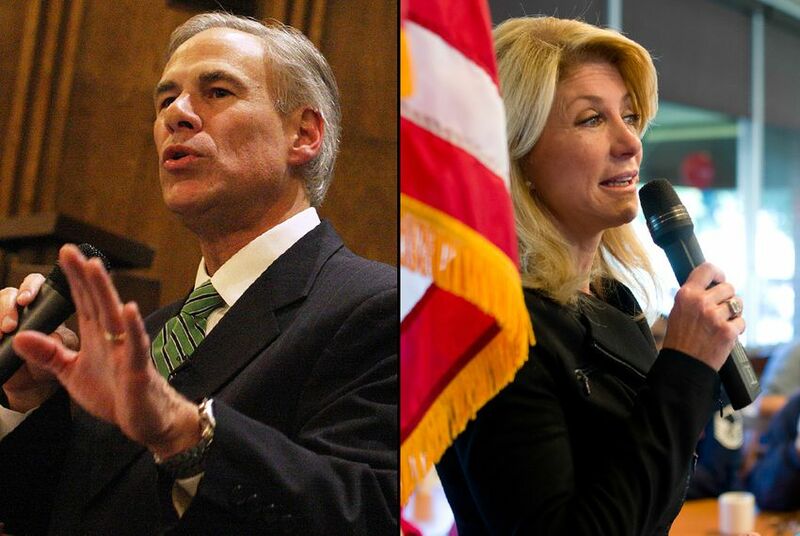 Attorney General Greg Abbott has amassed a $35.6 million war chest in the race for Texas governor. His Democratic opponent, Sen. Wendy Davis, says she has $13.1 million for the effort. After raking in more than 20 six-figure donations since late February, Republican Attorney General Greg Abbott has amassed a $35.6 million war chest in his campaign for Texas governor, a figure his aides on Tuesday called unprecedented. Both campaigns released their fundraising totals ahead of Tuesday’s deadline. Not all of the actual reports, which provide details about donors and expenditures, were immediately available. Abbott's report got turned in late Tuesday afternoon, and it demonstrated the fundraising prowess that has produced the largest campaign war chest in Texas. He received at least 22 donations of $100,000 or more between Feb. 23 and June 30, the period covered by the latest report, according to a search of online records from the Texas Ethics Commission. Among those giving $250,000 were Walmart heiress Alice Walton; hotel magnate (and former University of Texas System Regent) Robert Rowling; San Antonio Spurs owner Peter Holt; his wife Julianna Holt; Tyler banker Brandon Steele; and Fort Worth businessman Robert Albritton and his wife, Mary. UT Regents Jeffery Hildebrand and Alex Cranberg gave Abbott $200,000 and $75,000, respectively, and UT Regent R. Steven Hicks and his wife, Donna, gave him $50,000. Paul Foster, chairman of the UT System Board of Regents, donated $100,000 to the Abbott campaign this year. Abbott spent a little less than $5 million during the period, the reports showed. Though Abbott has far more money to spend on the race, Davis had her own reason to brag. She claimed raising $11.2 million for the most recent fundraising period. Abbott pulled in $11.1 million over the same time frame. The figures, reported by the Davis campaign Tuesday, include money from the Texas Victory Committee, a joint fundraising venture between Davis and Battleground Texas, a separate entity dedicated to pumping up Democratic turnout in November. The Wendy R. Davis for Governor campaign has $8.8 million in the bank, and the Texas Victory Committee has $3.2 million, for about $12 million total. Davis' campaign is also counting $1.1 million that the joint fundraising committee has disbursed to Battleground for the fall effort, for a total of $13.1 million. The $1.1 million figure does not include about $65,000 that Battleground Texas amassed on its own, according to Battleground Texas spokeswoman Erica Sackin. The Democrats' fundraising reports were not available early Tuesday evening. The Abbott campaign said no Texas candidate for governor has ever piled up more cash in the bank. While multimillionaire Democrat Tony Sanchez spent about $70 million in his mostly self-financed (and unsuccessful) race for governor in 2002, the money never sat in his campaign account for very long. Disclosure: Paul Foster and R. Steven Hicks are major donors to The Texas Tribune. Robert Rowling has been a major donor to the Tribune. A complete list of Texas Tribune donors and sponsors can be viewed here.